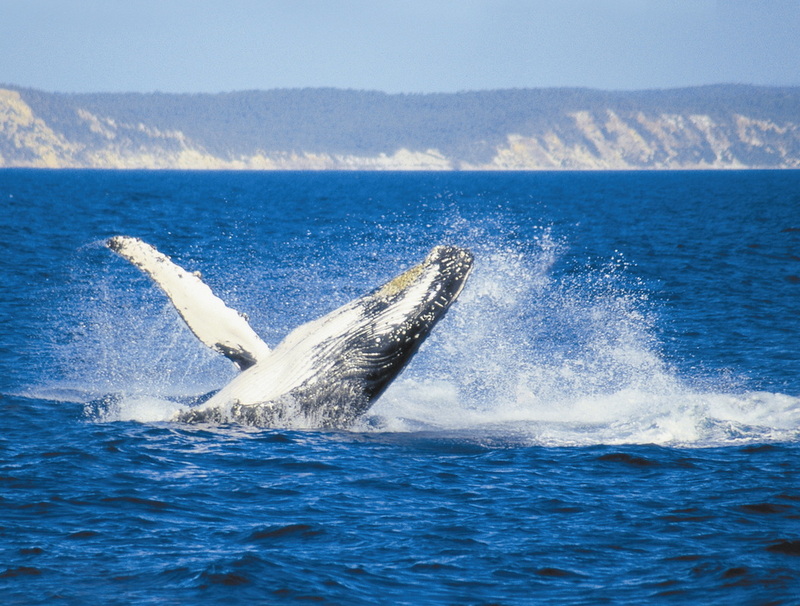 World heritage-listed Fraser Island is a rare and beautiful destination especially during whale watching time, writes Helen Flanagan. Watching majestic mammals slap their pecs and tails en masse in perfect harmony over and over again, spy hop, breach or clear two-thirds of their gargantuan bodies out of the water, showing off gleaming white underbellies before crashing with a thunderous splash, leaving behind a calm area of water or footprint on the surface, is truly amazing. 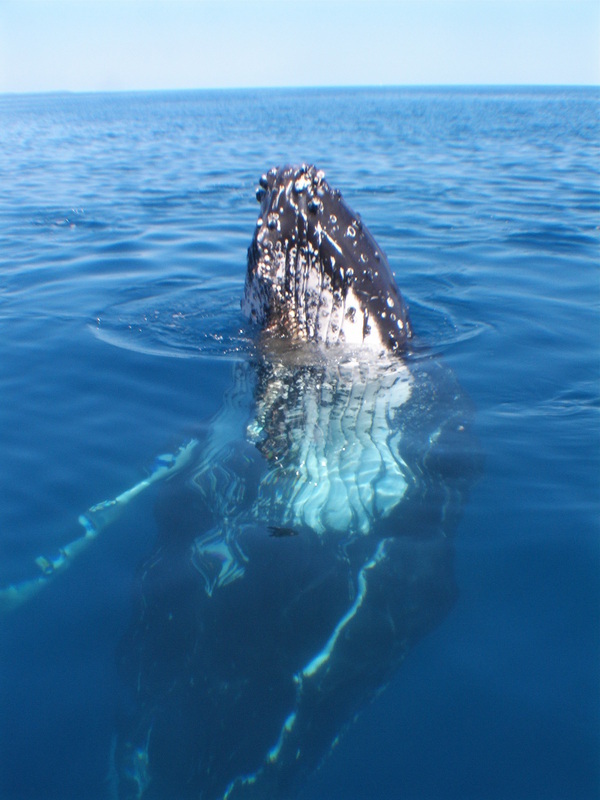 It’s all about whales en masse or whale soup in Hervey Bay Marine Park, the social networking hub of the universe for humpback whales. 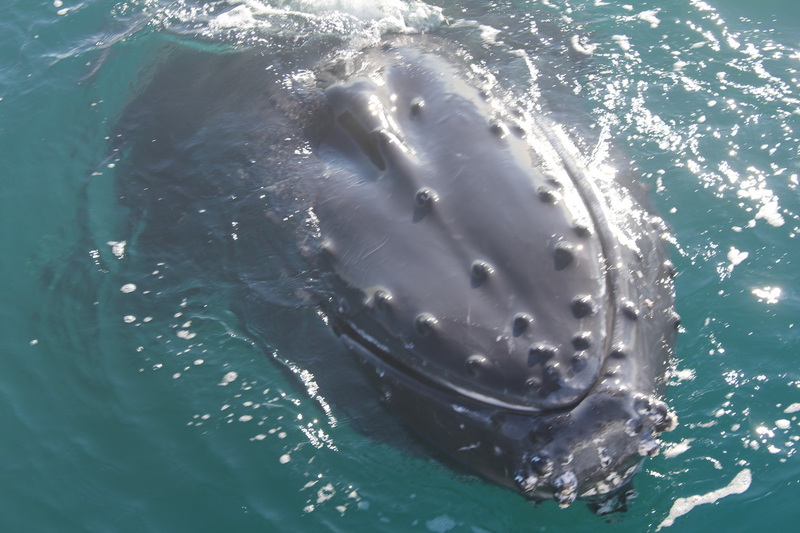 About an hour from Fraser Island, Quick Cat II skipper Brian Perry spots pods several kilometres away and yells excitedly “there’s a blow…and another”, referring to the adult baleen (toothless) humpback whales with two lungs the size of a small car, that can be emptied and refilled in less than two seconds. Once near the surface, they exhale forcefully through two blowholes on top of their heads at 40 kph with the distinctive cloud formed from vapour condensation. Exuberant vocal whale watchers are rewarded as six curious cetaceans shimmy under the boat, some just an arm’s length away, continually showing off by seemingly ‘lying’ on the water and slapping one or both fins, submerging themselves nearly vertically slapping tail flukes and rising out of the water so their eyes are just clear of the surface, before slipping back into their aquatic playground. 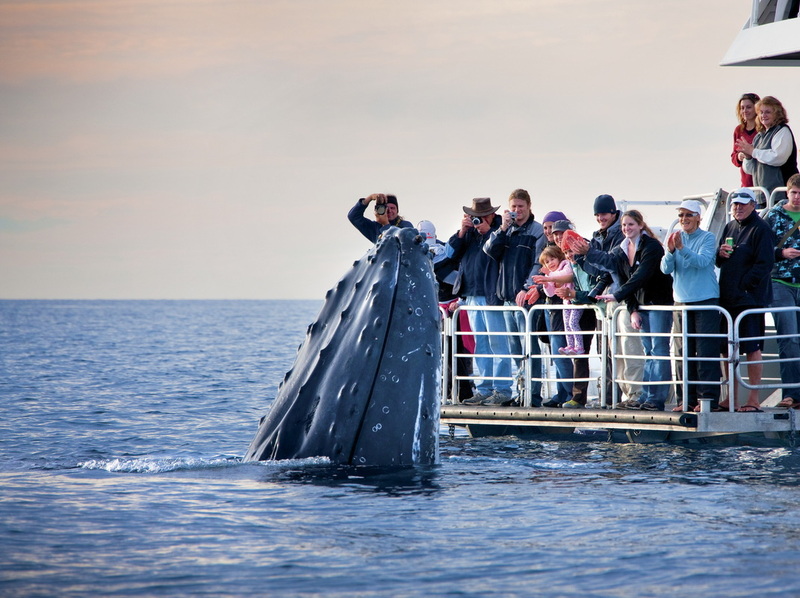 Often the more inquisitive leap out of the calm waters and lift their great heads to watch whale watchers watching them. 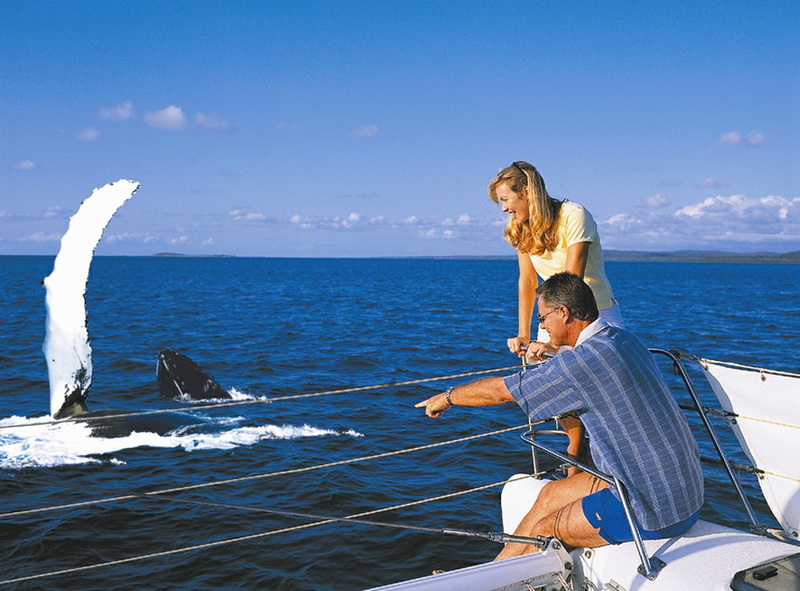 Brian Perry, wife Jill and daughter Sarah, who’s Hervey Bay’s only female skipper, run half-day whale watching excursions each day until late October to stare and gasp in wonderment as pods come together in affiliations, then strut their stuff including the peduncle slap. “That occurs when the peduncle, the area from the dorsal fin to the tail, and flukes are thrown out of the water then slapped back down,” describes Brian who moved to Hervey Bay in 1986 to run fishing charters but changed his mind when he saw “big logs” which turned out to be whales. His bright idea was initially laughed at. Nestled into Fraser Island’s landscape is Kingfisher Bay Resort, a fully-integrated ecotourism hotel designed to give guests an enjoyable nature-based experience whilst creating minimal impact on the environment. Every morning the orchestra of frogs and birdsong are a wake-up call and the morning sun glints on the waters of the Great Sandy Strait. Nature’s art gallery of golden beaches and sand dunes stretch to forever, giving way to mesmerising postcard moments at almost every track and turn. Slip into island living, explore the hundreds of tracks which criss-cross the world's largest sand island. Immerse yourself in the ancient rainforests, which flourish in dune valleys, coloured sand cliffs on Seventy-Five Mile Beach or the mirrored perched lakes, ringed with gold, which tempt even the most reluctant swimmers. It’s all part of an unforgettable experience. Virgin Blue – daily flights from Melbourne and Sydney to Hervey Bay/Fraser Coast airport. Qantaslink - 3 services daily from Brisbane. Secure parking is available at Kingfisher Bay Resort's mainland reception.